There being no way to get closer to the open-frame volume pot’s innards, I eased a drop of DeoxIT Red along its edge (upper in the photo), slipped another drop into what’s presumably the wiper opening in the knob, and ran it through enough cycles to spread the juice evenly. Reassemble in reverse order and It Just Works™ again. 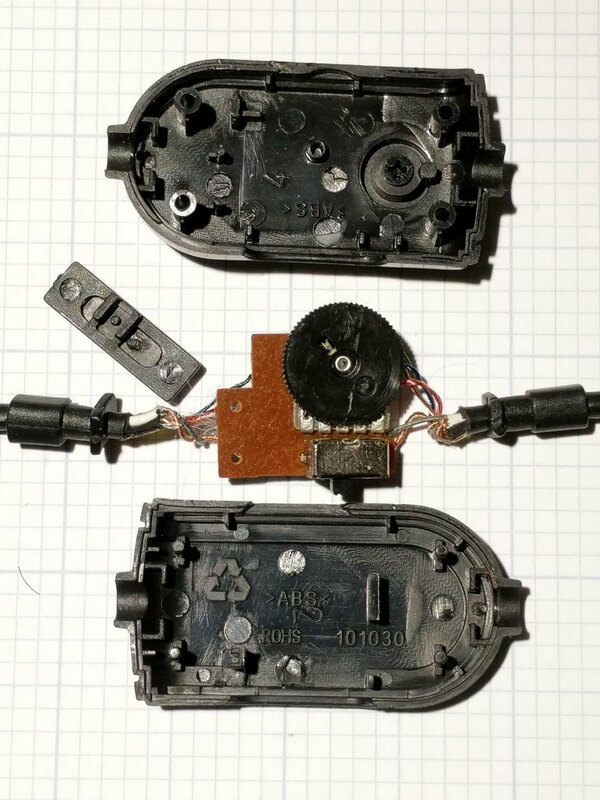 This entry was posted on 2018-11-18, 07:31 and is filed under Electronics Workbench. You can follow any responses to this entry through RSS 2.0. Both comments and pings are currently closed. Gotta love those Zero Dollar Repairs!